TRUST SEEDS, was established in 1986 as a family company in Amman - Jordan by Mr. Nail Omar who was interested in this line of business since the early seventies. One of our aims was to proceed in research and breeding programs. 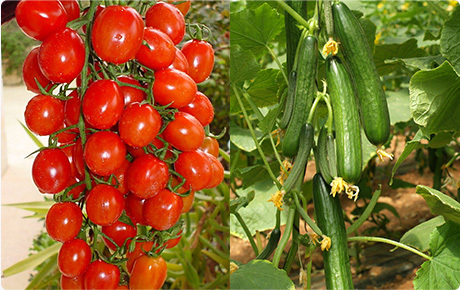 We focused in the beginning on two main crops: Tomato and Cucumber. We employed and got the assistance of a unique team of researchers, breeders and agronomists. In addition to that we exchanged the know-how and technical information with some of the leaders in this business in the world in order to achieve our aims by introducing class A quality. We expanded our programs in 1997 by adding new crops to our breeding plans: Melons, Sweet Pepper, Squash and Eggplant. In the year 2000 we decided to separate the business apart from other activities in our company, so , we registered the seed brand name TRUST SEEDS as a registered trade mark for our seed business. We care about our clients by granting them a very competitive prices. We care about the farmers by supplying them with high quality of varieties. We care about consumers of fresh vegetables making sure they enjoy a real good taste of products as a result of using our seeds. Jordan has a very distinguished climatic conditions which enables us to carry out our programs and trials to suit most climates in the world, we run our research and trials in three different locations. The temp. ranges mentioned shows day and night average. Tests are done also on other locations such as : The Syrian Coast, Crete, Turkey, Saudi Arabia and Egypt. Results, in addition to the three locations in Jordan and our locations in india and china, can express most areas in the world except the equator where we are planning to do special trials. Our breeders always keep the purity of parent lines of our hybrids by maintaining the source in the lab.